As a Fortinet Platinum Partner, Nouveau Solutions' highly skilled engineers are able to provide the highest quality of support for your business. 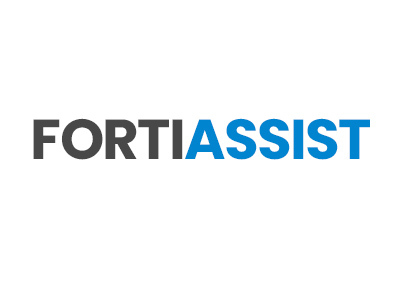 Our FortiAssist Managed Service overlays FortiCare Support to provide specifically tailored and ongoing seamless support. With a FortiAssist Support Services package from Nouveau, our FCNSP engineers provide expert advice and guidance to ensure your networks are optimised to meet your operational requirements. 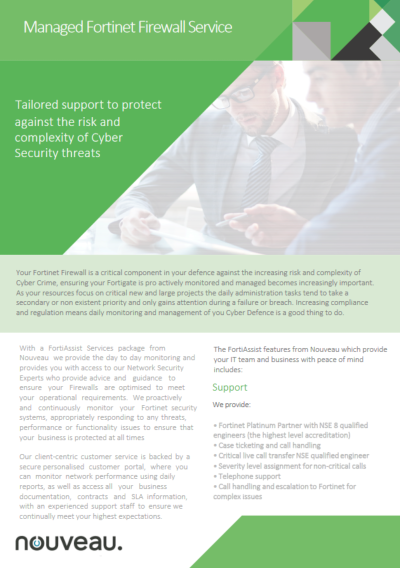 We proactively and continuously monitor your Fortinet security systems, appropriately responding to any threats, performance or functionality issues to ensure that your business is protected at all times. 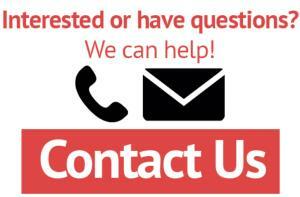 Our client-centric customer service is backed by a secure personalised customer portal, where you can monitor network performance, as well as access all your business documentation, contracts and SLA information, with an experienced support staff to ensure we continually meet your highest expectations.